Well what a way to end my time as Ascot Buildings’ sponsored young rider than to complete my first international event, and to take the lesson and yard tour at Mary King’s yard as part of the sponsorship! 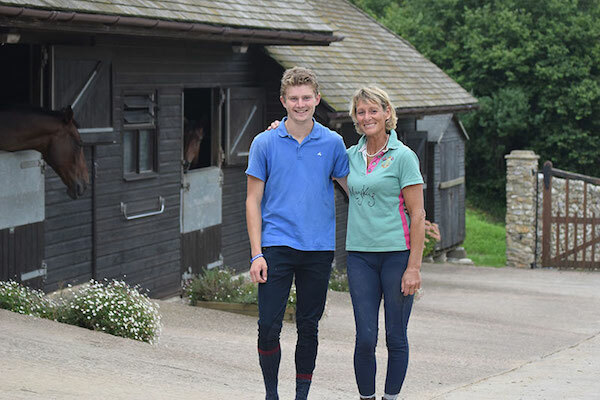 Alex took Alfie 3 hours south for a dressage lesson and yard tour at Mary King‘s beautiful yard as part of his Ascot Young Rider sponsorship. He started off with a fantastic lesson with Mary, who very quickly picked up on and helped him with some of his bad habits, and also made lots of helpful suggestions of things he can work on with Alfie. Alex really felt a difference from just the 1 lesson with her. Then he had a quick look at her medals and around the yard, before meeting some of her very friendly foals out in the field, including one born just the day before. Alex thanked Mary for her time and Ascot Buildings, for our sponsorship of over the last 12 months which included this lovely day on top of the financial support! After a quick 7am ride he felt calm and prepared, and it was very special to get onto my beautiful horse in my tailcoat for an international test! 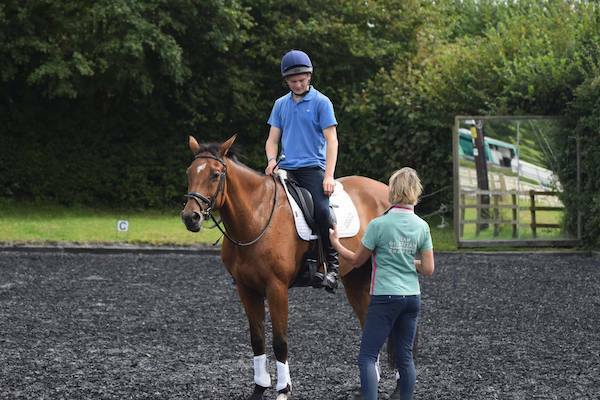 The dressage is still such a work in progress, and it was a relatively tricky test, but he managed to concentrate despite the atmosphere and we did a mistake-free test for 54.4. 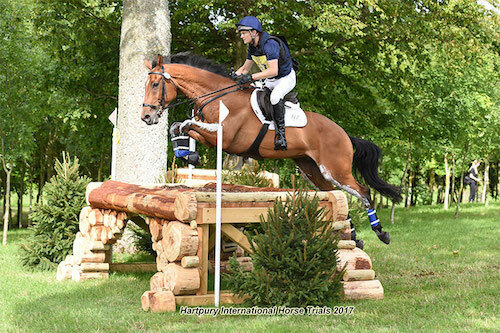 I was very confident on Saturday, as I knew that the XC course would suit him. Luckily I was absolutely right to be so, as he flew around the course making it feel ridiculously easy! It was so much fun riding around that I had to remind myself to concentrate, but we had a near foot-perfect run and went inside the time. He looked great afterwards, but was a bit tired at the horse inspection early on Sunday, so I was a little worried for the rather large SJ track…however he put his wings on and jumped a very classy round. Sadly a mistake from me cost us a pole down, but we still climbed up several places to finish in the top 50%! This also gave us half of our qualification for the next international level (CIC**). He was such a good boy so he had a short break, and when we picked him up again I had my lesson with Mary to look forward to. I chose to work him on the flat with her, and she was very helpful, making us both work hard! Her tips are already helping me a lot, so I couldn’t be more pleased. She was so generous with her time afterwards too, showing us all the horses, the yard and even her house & Olympic medals. She really is a true inspiration and a lovely lady.